New R R Corner Best Nasi Lemak | Menjual Dan Membekal, Nasi Lemak, Lontong, Satay Dan Lain-Lain Makanan Melayu. Ditanggung Halal. Menjual Dan Membekal, Nasi Lemak, Lontong, Satay Dan Lain-Lain Makanan Melayu. Ditanggung Halal. Earn an EXTRAORDINARY INCOME Working Part-Time! Our compensation plan provides the means for you to create the income you deserve. This incredible opportunity makes it posible to create health and wealth beyond your widest dreams!. Achieve your Dreams in your own time as a boss . Best Nasi Lemak R R Corner Have Started Its Sales. New R R Corner telah memulakan Jualannya. Best Nasi Lemak yang terletak di Geylang Bahru Food Centre , New R R Corner, di Stall #01-2729 dengan rasminya akan memulakan perniagaannya Esok 16.12.2009 dari jam 7 pagi – 8 malam. Buat masa ini Satay belum lagi di jual. Datanglah beramai-ramai ke Gerai kami. Kami pasti sesiapa yang telah makan nasi lemak kami akan makan berulang kali dan akan menjadi pelanggan tetap. Insya-Allah. New RR Corner have started its sales. Best Nasi Lemak located at Geylang Bahru Food Centre, New R R Corner, Stall #01-2729 will officially start its business tomorrow 16.12.2009 from 7 o’clock in the morning – 8 night. Currently we are not selling Satay. Please come to our Stall with your friends and family. We are sure that anyone who eats our Nasi Lemak shall repeatedly come to our stall and eat and will become our regular customer. For Enquiry Please Call: 9781 1070 Haji Saat Jais. 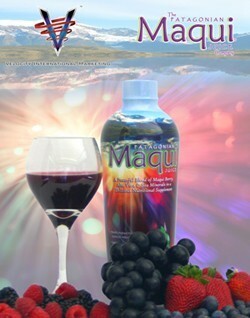 Contains as much Resveratrol in 1 serving as 7 bottles of red wine. Stimulates detoxification activity in the body. Helps protect against cancer and neurodegenerative disorders like Alzeimer’s and Parkinson’s. Experience the World’s Most Powerful Antioxidant! Excellent source of vitamin c, calcium, iron and potassium. Excellent source of vitamin c, calsium, iron and potassium. Masukan alamat email Anda untuk melanggan blok ini dan akan diberi tahu, pos terkini melalui email.